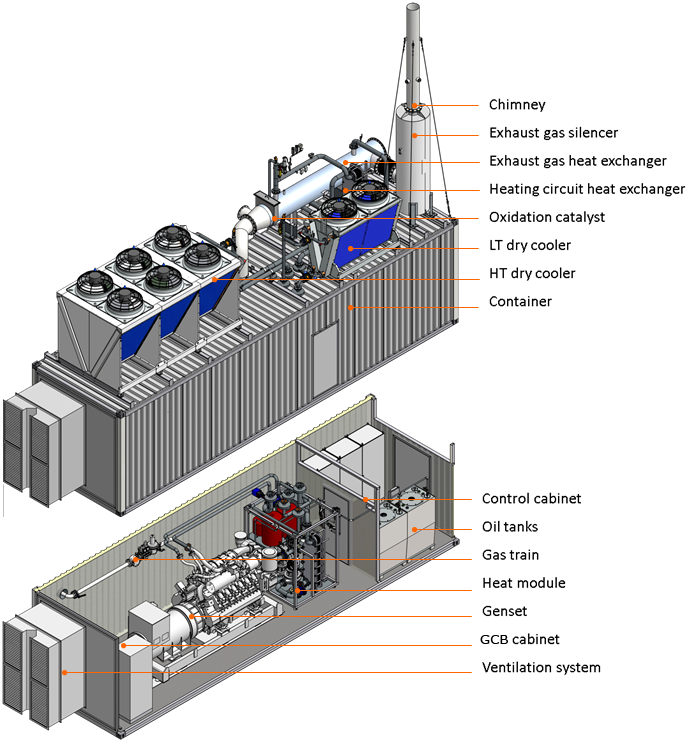 State-of-the-art gas engine CHP-pants in container design or as building design. 2. By means of mechanical operating power the generator generates an electrical current, which is either fed into the public electricity network or used in the stand-alone electical network. 4. Electrical switchgear for an automatic plant operation in the necessary area and under given operational conditions. GTP offers a wide area of solutions as a system supplier. In addition to building installation, turnkey container solutions are offered. Those are compact, relocatable and can be operate autonomously. This can be a viable alternative in case of varying gas quantity or gradual expansion of a plant. These container plants meet a wide range of possible applications.